SOUTHINGTON - A Waterbury woman accused of abusing a disabled woman while working at a Southington group home has been granted a first-time offender program to keep her record clean. 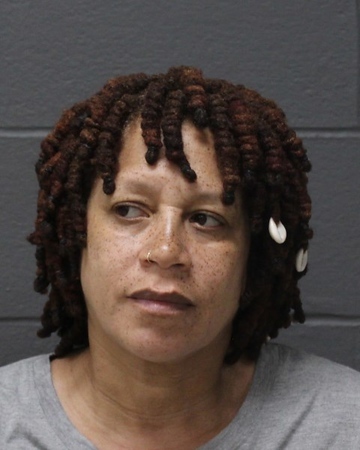 Carrie Abdur-Rashid, 55, allegedly sprayed the woman in the face with a garden hose as a form of discipline on May 5, according to the arrest warrant in the case. She faces one count of intentional cruelty to persons - a felony. On Thursday, in Bristol Superior Court, Abdur-Rashid was granted Accelerated Rehabilitation. As part of the program, she will be on a form of probation for two years, during which time she has been ordered not to work in a group home or get arrested. If she completes those conditions, the charge against her will be dropped on July 21, 2020. "There's some disparities as to what this actually was," Ronald Dearstyne, state prosecutor, said of the allegations, referring to Abdur-Rashid's position that she was playing a water game with the alleged victim. Dearstyne said he was "on the fence" as to whether he believed Accelerated Rehabilitation would be appropriate. According to the warrant, a Clark Street resident called police on May 5, at about 2:30 p.m., to report a possible abuse situation. She said she heard yelling and screaming coming from a nearby group home. The complainant, according to the warrant, then looked outside and heard one of two staff members, later identified as Abdur-Rashid, yelling things like “Do you want me to push you to the ground?” and “Do you want me to push you in the bushes?” She said she was yelling to one of the group home residents, who is intellectually disabled. After the two staff members and the resident walked around the group home, the neighbor told police, Abdur-Rashid allegedly picked up a garden hose and began spraying water in the face of the disabled woman. She also allegedly used vulgar language. The complainant told police it did not look like they were just having fun, and that it appeared abusive, according to the warrant. Police later spoke to Abdur-Rashid and the other staff member who was present for the incident. Both told police the water fight was done in a fun, non-harmful way, and that it ended when the victim began to cry, according to the warrant. The group home is managed by PrimeCare Inc. - based in Waterbury - and receives funding from the state’s Department of Developmental Services. Sometime after her arrest, Abdur-Rashid was fired from the group home. Posted in New Britain Herald, Southington Herald on Thursday, 26 July 2018 13:59. Updated: Thursday, 26 July 2018 14:02.